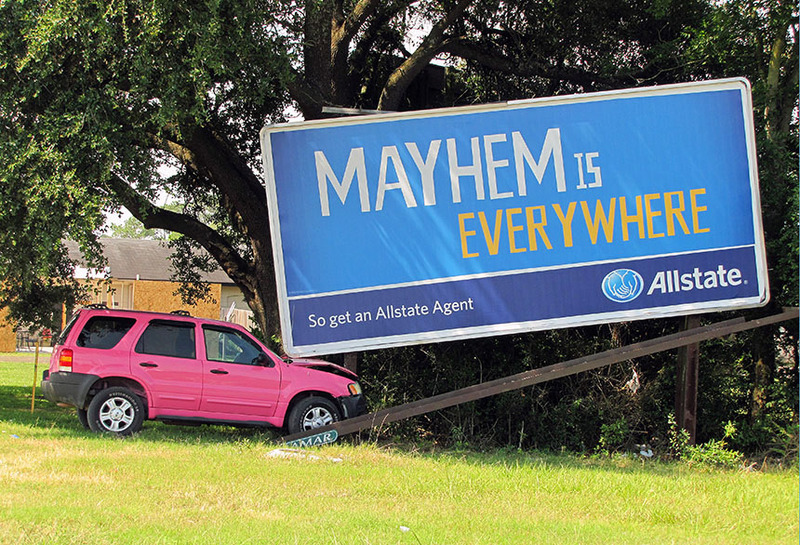 Allstate's Mayhem campaign utilized the surrounding environment to create a greater impact on consumers. This poster unit was re-positioned to give the appearance that the vehicle crashed into it. Leo Burnett provided the original creative concept. This campaign showcases the out-of-home medium's virtually unlimited creative potential.